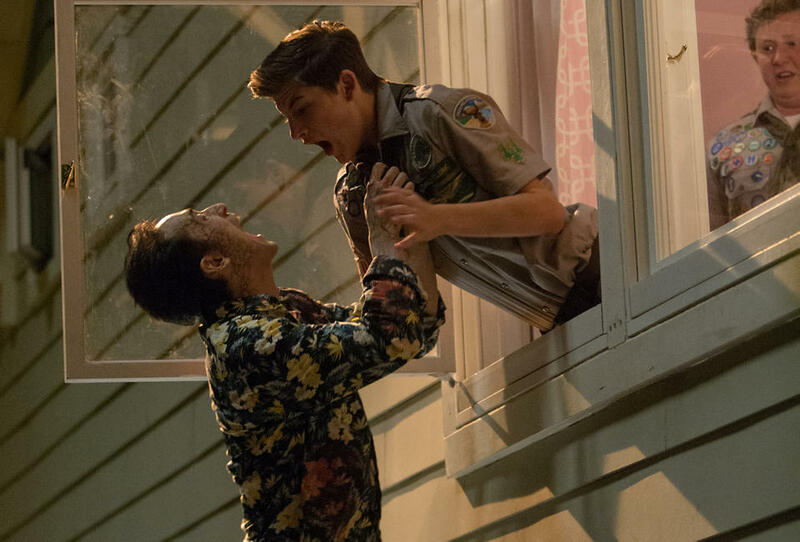 Check out the movie photos of "Scouts Guide To The Zombie Apocalypse." 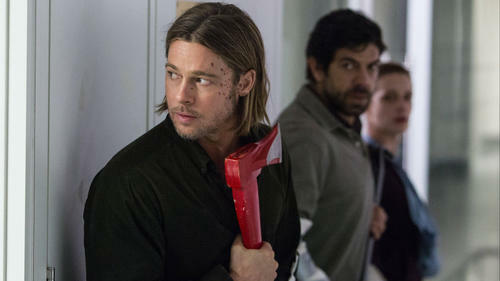 A scene from "Scout's Guide To The Zombie Apocalypse." Tye Sheridan as Ben, Logan Miller as Carter and Sarah Dumont as Denise in "Scouts Guide To The Zombie Apocalypse." 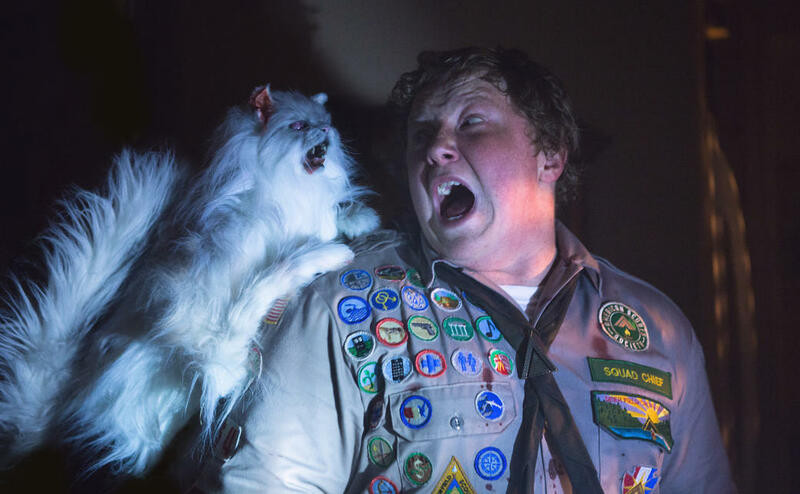 A scene from "Scouts Guide To The Zombie Apocalypse." Sarah Dumont as Denise in "Scouts Guide To The Zombie Apocalypse." Elle Evans as Amber in "Scouts Guide To The Zombie Apocalypse." Tye Sheridan as Ben, Sarah Dumont as Denise, Logan Miller as Carter and Joey Morgan as Augie in "Scouts Guide To The Zombie Apocalypse." Sarah Dumont as Denise, Joey Morgan as Augie, Logan Miller as Carter and Tye Sheridan as Ben in "Scouts Guide To The Zombie Apocalypse." Halston Sage as Kendall in "Scouts Guide To The Zombie Apocalypse." 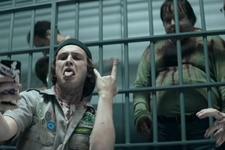 Logan Miller as Carter, Tye Sheridan as Ben and Joey Morgan as Augie in "Scouts Guide To The Zombie Apocalypse." Tye Sheridan as Ben in "Scouts Guide To The Zombie Apocalypse." Halston Sage as Kendall Grant and Patrick Schwarzenegger as Jeff in "Scouts Guide To The Zombie Apocalypse." 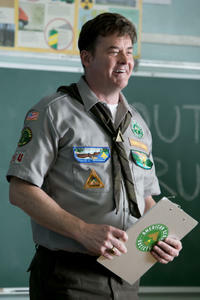 David Koechner as Scout Leader Rogers in "Scouts Guide To The Zombie Apocalypse." Joey Morgan as Augie in "Scouts Guide To The Zombie Apocalypse." 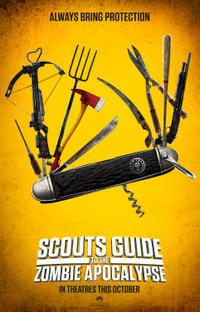 Poster art for "Scout's Guide to the Zombie Apocalypse." 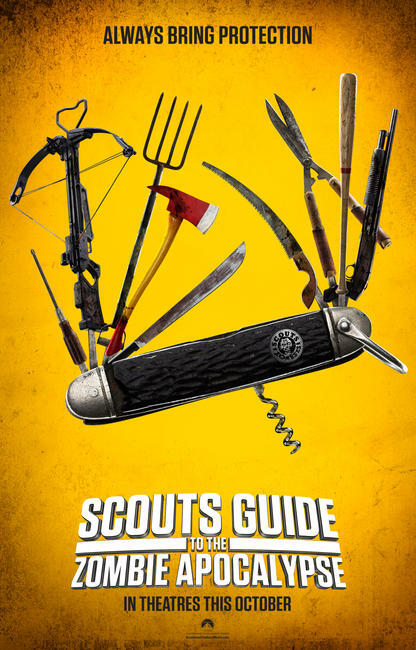 Poster art for "Scouts Guide To The Zombie Apocalypse."